Are you passionate about reading? Or are you a music enthusiast? Well here's a cake for both! This particular project was a request from a husband for his wife's birthday. I was told that she loves music and he asked me if I could come up with a very simple music theme design. 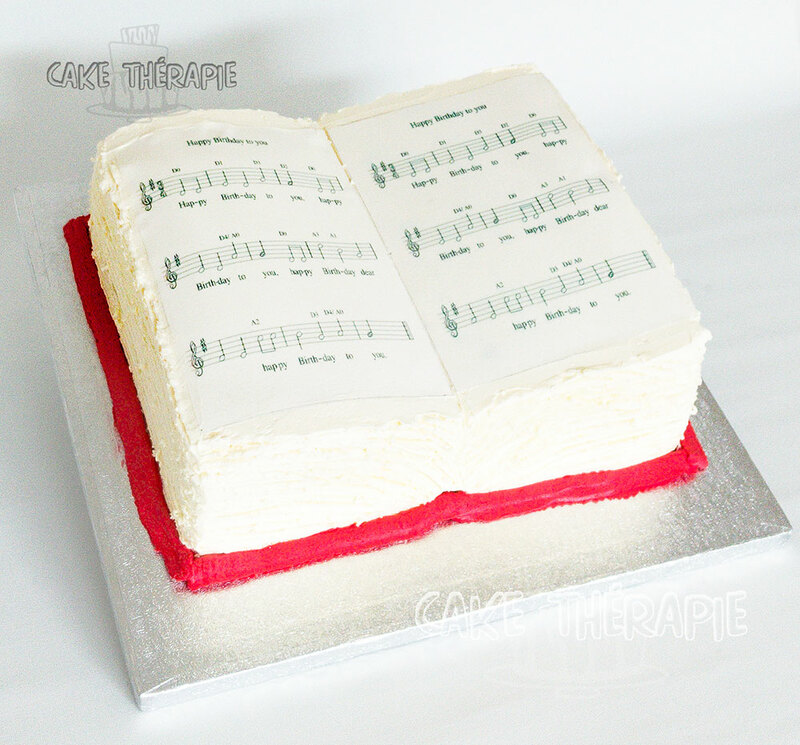 I don't know if this fits the 'very simple' definition but when I suggested a sheet music book as cake design, he totally loved the idea. 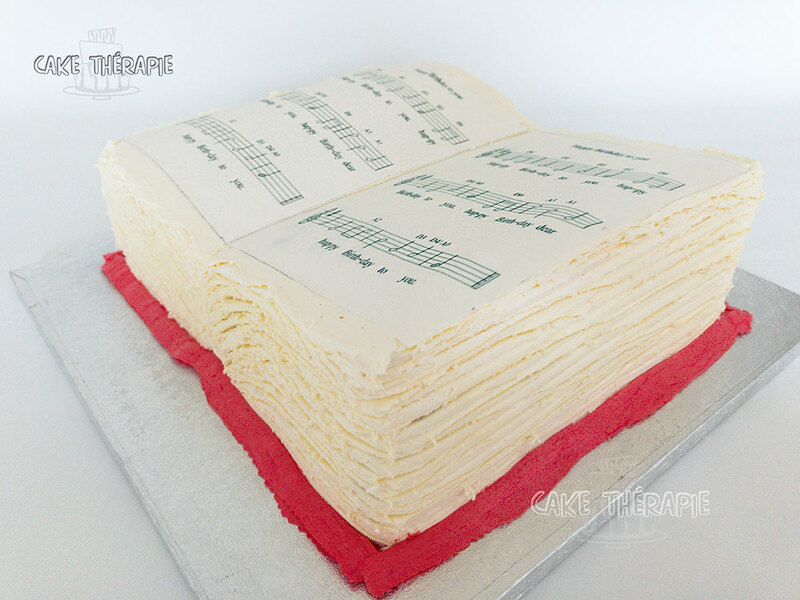 The cake is a moist vanilla sponge, carved and shaped in the form of a book, then filled with chocolate swiss meringue buttercream and frosted in vanilla swiss meringure buttercream. Simple yet impressive! Who wouldnt' want to browse through those layers? Wouldn't you?